American Equus, the popular designer and manufacturer of premium stirrups, spurs and now horse shoes is proud to announce its newest partnership with leading hunter and jumper rider, Victoria Colvin. Colvin adds an incredible amount of depth to the Sponsored Rider team boasted by the company that makes products that are both technically advanced as well as luxuriously beautiful. "We are thrilled to have Victoria Colvin as the newest member of the American Equus family," said David Shano, Founder and CEO of American Equus. "With a record of success that is second to none and with the recent launch of her own business, we think that Victoria is the perfect fit for our company and we are looking forward to helping her to achieve more success in the hunter and jumper rings!" 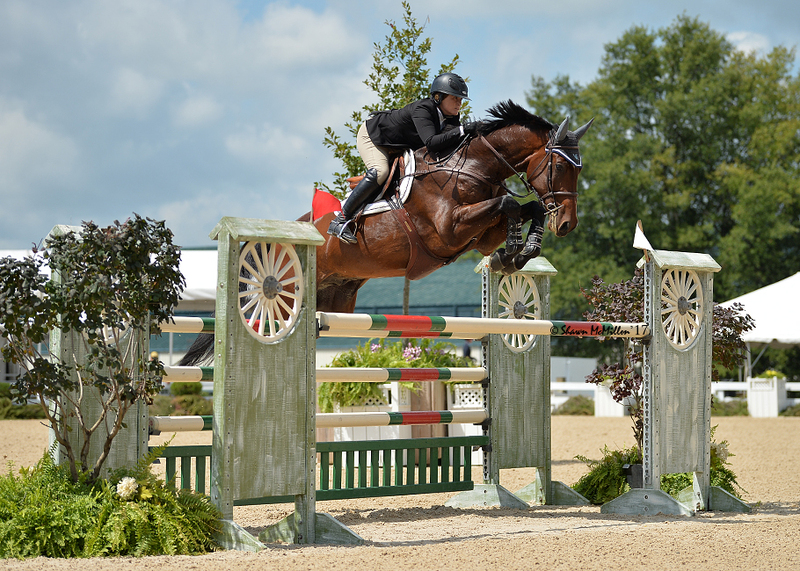 Victoria Colvin is an easily recognized name in the hunter, jumper and equitation rings. The young professional has an impressive list of victories accumulated throughout her career. In 2014, she earned the top spot in the iconic ASPCA Maclay Finals and during the pinnacle of her junior riding career in 2015, Colvin earned the Platinum Performance/USEF Show Jumping Talent Search Finals championship honor as well as the victory in the WIHS Equitation Championship. Colvin made her grand prix debut, which she won, in 2012 at the age of 13, and is currently piloting mounts for international equestrian owners as she continues to build her new training business. In 2017, Colvin opened the doors to of her business, Victoria Colvin, LLC, based in Loxahatchee, FL. In only her first year as a professional, she has had top placings in both the hunter and the jumper rings during the Winter Equestrian Festival, Kentucky Horse Show’s LLC and Great Lakes Equestrian Festival. Based in Gilbert, Arizona, American Equus produces stirrups and spurs out of lightweight and durable aluminum alloy. Completely customizable, with hand-polished finishes, American Equus products are the perfect mixture of equestrian tradition and 21st century production technology, design and function. The company designs and manufactures equipment suitable for all equestrian disciplines including hunter/jumper, dressage, polo, western and racing. American Equus is also currently the only company to produce stirrups and spurs completely in the United States. Victoria ColvinAmerican Equus welcomes Victoria Colvin to the team!